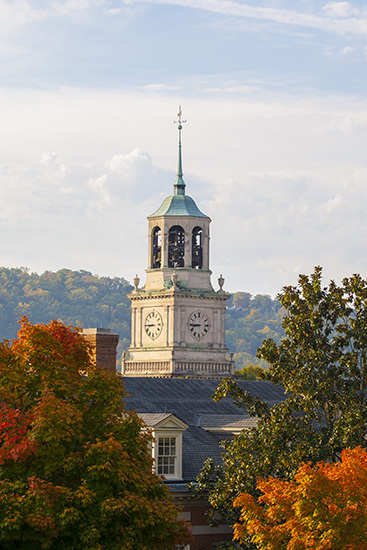 Samford University's board of trustees has approved the 2015-16 tuition and fee schedule. Undergraduate tuition for full-time students will be $13,760 per semester, a 3.8 percent increase over 2014-15. This is the lowest percentage increase in undergraduate tuition in several years, university officials said. The university-wide technology fee will increase to $175 per semester, the first increase in several years, as the university continues to expand wireless access and classroom technology. The campus life fee for undergraduate students remains unchanged for 2015-16. Housing rates for undergraduates will range from $2,016 to $4,216 per semester, based on residence facility. Meal plans will range from $1,134-$2,270 per semester, based on the plan selected. The “carte blanche” meal plan allows for unlimited meals and dining access throughout the day. Samford also offers 12- and 7-meal plans. All meal plans will include new options for to-go meals through Samford Dining’s new Take 4 service and options for receiving discounts for additional funds that individuals can add to the Dining Dollars feature. Full-time tuition per semester for graduate/professional programs includes Cumberland School of Law, $18,298, a 1 percent increase from 2014-15; Beeson Divinity School, $6,228, a 5 percent increase; and McWhorter School of Pharmacy, $17,707, a 3 percent increase over 2014-15. Tuition and fees in other graduate programs will vary by degree program, according to Kimrey. “Samford’s total undergraduate cost of attendance continues to be below the reported national average for private universities,” said Harry B. Brock III, Samford’s vice president for business and financial affairs. Samford’s tuition also is less than the other private institutions in the Southern Conference and other peer institutions across the U.S.
Samford continues to enjoy a strong national reputation for its academic programs, Brock added. In 2015, Samford is ranked third in the South among regional universities by U.S. News & World Report and first among all four-year institutions in Alabama by Forbes Inc. Samford also is nationally-recognized for value and affordability by Kiplinger’s Personal Finance, Forbes, The Princeton Review and others. The complete tuition and fee schedule will be available later in the spring on the Samford website.